Saw this the other day and thought I would share. 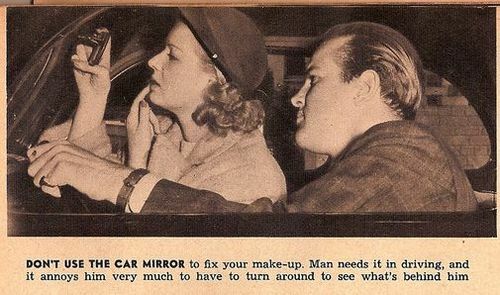 Dating advice from the ’30’s. I love these vintage ads and articles that are all about catering 100% to the guy and his needs, likes and interests. And I only like them because we’ve come so far with gender equality in terms of dating that we can actually consider this humorous. It makes me wonder at what point did something like “Men deserve your entire attention,” become so ridiculous. This entry was posted in For Your Reference (recommended articles, sites, etc.) and tagged 1930's, dating, love, men, vintage, women. Bookmark the permalink.